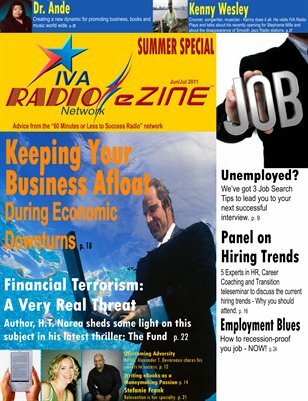 It's fun in the summertime with this edition of the IVA Radio Network magazine. We've got tips on successful promotions for books, business and job searches. The news is out on IVA Radio Plays going global! We've got guest spotlight interview on stars like Kenny Wesley and authors H.T. Narea and Patricia E. Canterbury.